Turned off his reelect him campaign speech. 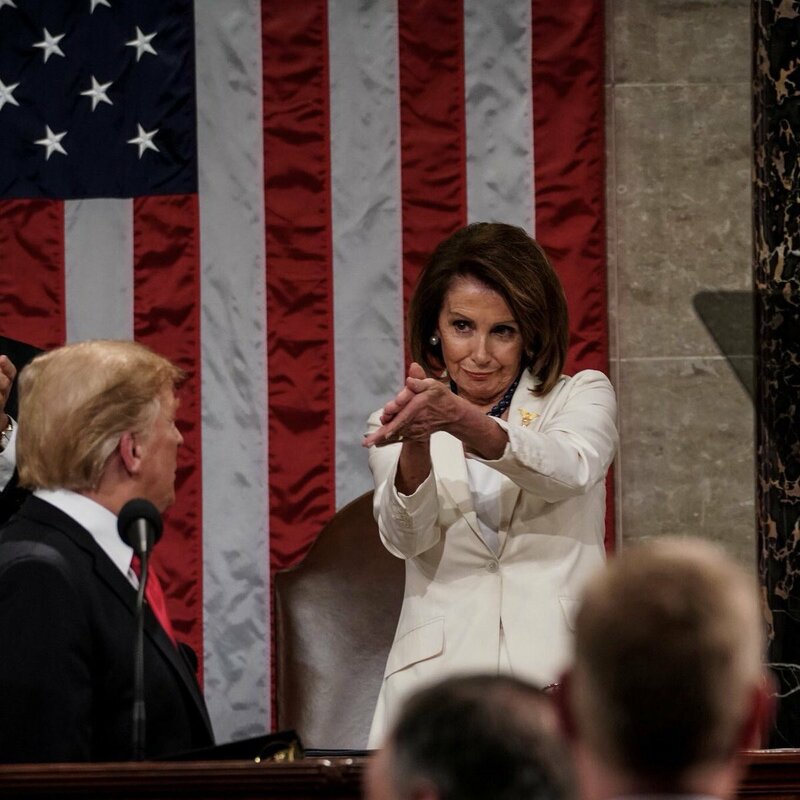 I loved this part right here, Nancy showing what class, respect AND power is all about in one simple move. Best speech ever. Nancy is a witch, but at least she did respect many of the points he brought. AOC is a snake in the grass. Amazing speech, though! #ChooseGreatness! My favorite was the affirmation that we shall not become a socialist country. i hope that holds true. One of the best SOTU speeches that I have witnessed. Possible fantastic great congress news. A settlement is likely today on no more shut downs...…… All can take credit. I couldn't agree more. When he said that, I too jumped up and yelled, "YEAH!" I was getting so worried that nobody was paying attention. Its like they want to take us back before we left Europe. We left Europe because we wanted something different. We booted Great Britain because we didn't like their way. We are Americans. We do it different. Best speech ever if you don't care about facts! I did not give up my love of England. Yes She is O K with the odd couples teaming up in it.